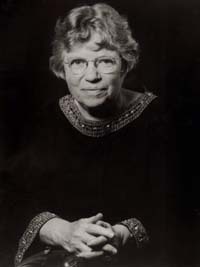 Margaret Mead would have been a hundred years old in December 2001 and her centennial was celebrated in the years leading up to 2001. The life of a single individual can symbolize important abstractions. Mead was committed to anthropology as a human science and to learning from other cultures. 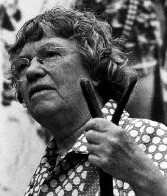 Mead's work spanned many cultures, so she was interested in all areas of difference between groups and how to transcend these. As a scientist, she had a broad sense of the relevance of anthropology to social action. As a public figure, she spoke out on and wrote about race relations, gender roles, culture, environmental justice, education, health and nutrition, child rearing, and self empowerment within communities. Mead stands as a reminder of the range of issues we must integrate in planning for the future -- for 2001 and all that follows. Let Mead's life, her words and image, touch your imagination. As we move forward, Mead reminds us of the possibility of choice.